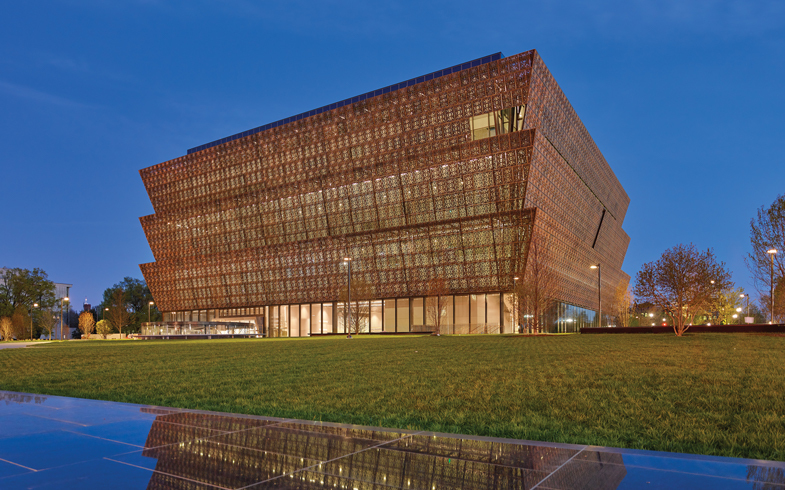 As the National Museum of African American History and Culture nears completion—the Smithsonian museum opens to the public in June 2016—Mona Electric Group, Inc., is putting the finishing touches on the state-of-the-art electrical, fire alarm and security systems. 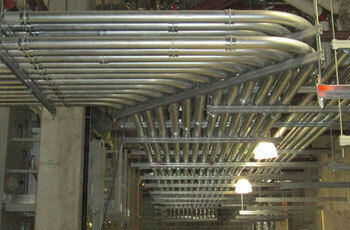 It is providing services for the main building as well as supporting the buildout of the exhibits. Despite the atypical nature of the project, Mona has capitalized on its ability to pre-fab many components. They employed BIM (Building Information Modeling) to design and fabricate components in its off-site shop to ensure they were all built to the same standard. Prefabrication saves time and effort on the job, reduces waste on the job site, and contributes to a safer project by preparing the components in a controlled environment. Mona also included some unique green features in its work. Whereas it is common practice to use incandescent bulbs or flood lights, Mona used LED lights for the temporary lighting during construction. The low voltage LED system runs on 24 volts, which almost eliminates the risk of shock. The lights are also virtually indestructible and have a longer life than incandescent bulbs (50,000 hours).